If you receive a notification in the mail from an “estate locator” saying that there is an unclaimed inheritance waiting for you, beware. What may really be waiting for you is a rip-off. Just like winning the lottery, notification of an unexpected inheritance from a friend or long-lost relative’s last will and testament can seem like manna from heaven. It can also mean scammers are at work. They pose as “estate locators” and will most likely contact you initially via the mail. 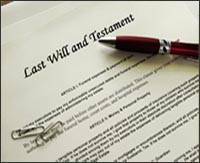 In their correspondence, they will indicate an unclaimed inheritance is waiting for you. This is the most common opening for a con known as the unclaimed inheritance scam. Another name for these “estate locators” is “research specialists”. However, they didn’t target you by completing any research. Instead you received this contact as part of a mass mailing sent all across America to people who share the same last name as yours. Each one of these folks is told there is cash from inheritances that have been located in their names. The research specialists make money by asserting they’ve put together an estate report that includes information on where the inheritances are located and how they can be claimed. For a relatively small fee, say around $30, you can receive this report. They may also propose to administer your inheritance claim for you, for another “small fee”. Everyone with the same last name across our nation received the exact same information regarding these estates. So the chance that any one of these folks who received the letter is the actual heir is slim to none. The con artists perpetrating this type of inheritance scam purposefully choose smaller inheritances on the off chance that someone receiving their correspondence turns out to be an actual heir with rights to claim the inheritance assets. Once the funds are claimed, they will probably be less than the fee that was paid to the people promoting this scam. Prior to sending any money to those claiming to be an “estate locator”, double check with relatives about any recent deaths in your family. Also research the people and/or firm in question. Run their names by the Better Business Bureau, your state’s Attorney General’s Office and the U.S. Postal Inspection Service. Pay close attention to whether or not any investigations have or are currently being conducted against the firm, or people representing the firm, making the inheritance location offer. In order to find out how much of a share in an estate is coming to you, legitimate law firms, will executors and others who legally hand out estate funds; will never ask for a payment or fee up front. If you’ve received a dubious letter in the mail claiming there’s an inheritance waiting for you or feel you’ve been a victim of a fake estate locator scheme, report your incident to the local U.S. Postmaster, U.S. Postal Inspection Service office, your state’s Attorney General’s Office or the Better Business Bureau. Contact information for all of these offices can be found on our fraud reporting section.